I remember when I first posted about this quilt and it felt like it would take forever to complete our stitching on it. Now this week as we rolled it in and rolled again, I realized it would not be much longer before it was completely finished. Certainly before spring comes to the valley. We even set up a second quilt to sew now that the holidays are over and we can put away all the items we had out to sell for the bazaar. 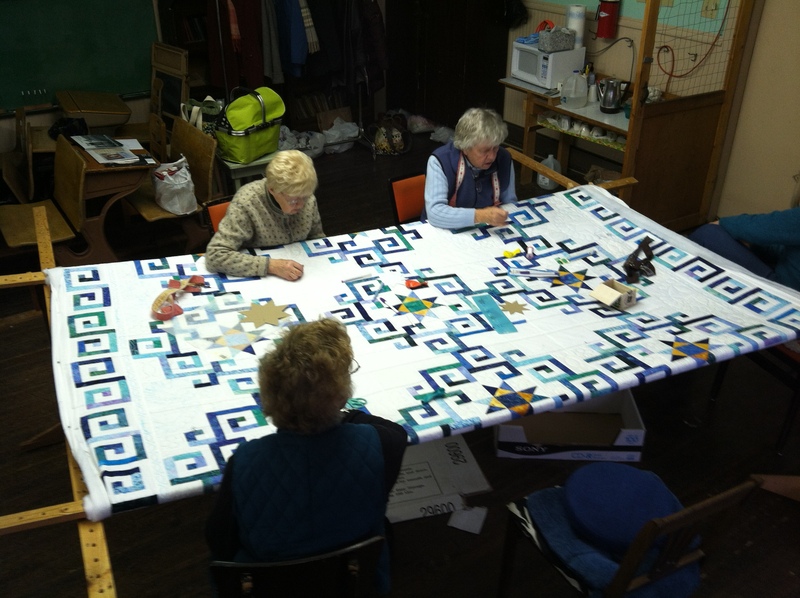 Our quilting was quiet this past week as some of the women are still away but by next week we should have the full group sewing again. And Sally joined us on Friday, who is new to quilting but has an eye for details and is patient so I am sure she will quickly become a talented member of our Friday group. And it was Judy’s birthday so we sang and had some dainty cupcakes that Bev brought in. We were looking at a book about quilts from Alaska as I had been there recently. I realize that as I look at hand sewn quilts now, even photos of them, that I recognize the hours and hours of energy that was required. I can almost sense the effort, lives and feelings of the women who made them. I suppose there are men who quilt as well but at least in this book, all the featured quilts had been done by women. The cooking finished, children asleep or occupied, dishes cleaned up and then sitting down to sew alone or with others around a frame. 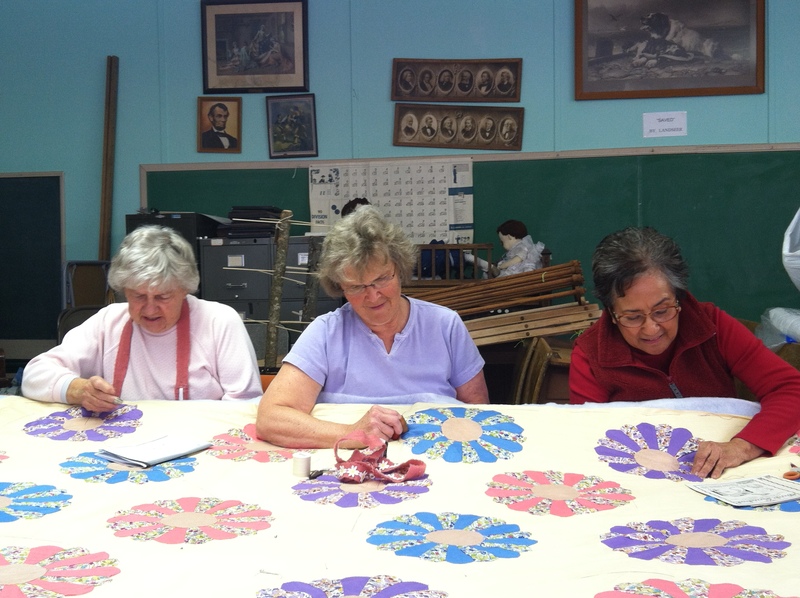 I suppose there is a similar activity in this day and age but none comes to mind that embodies the peaceful focus of sewing a quilt with lovely patterns.